You know how in September I said I didn't need more than two pairs of Tieks? In November I bought another pair. And then in December I bought another pair. Well, I worked Election Day as a Poll Official and earned a paycheck enough to buy something nice for myself. I was debating between a pair of Tieks or a new purse - I chose happy shoes. Yellow is my favorite color and they bring me so much joy every time I look down. They are ridiculous and I love them. It's a different type of leather than the Biscotti patent and Lovestruck I had and I was worried they would scratch easily. 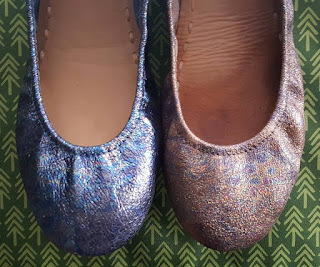 I wore them and my Lovestrucks every day on a Disney Cruise and they still look great - and my feet never hurt. Although the outside looked great, a string had come lose that connected the inside sole. 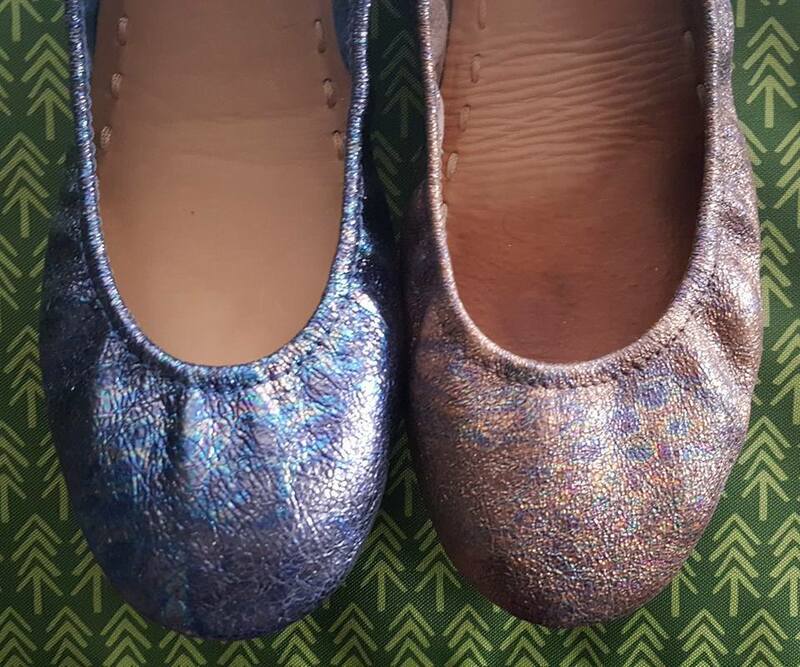 I sent the yellow pair back to Tieks in December for a free rehab. 4 days later, I had my shoes back and a new Tieks flower. All for free. 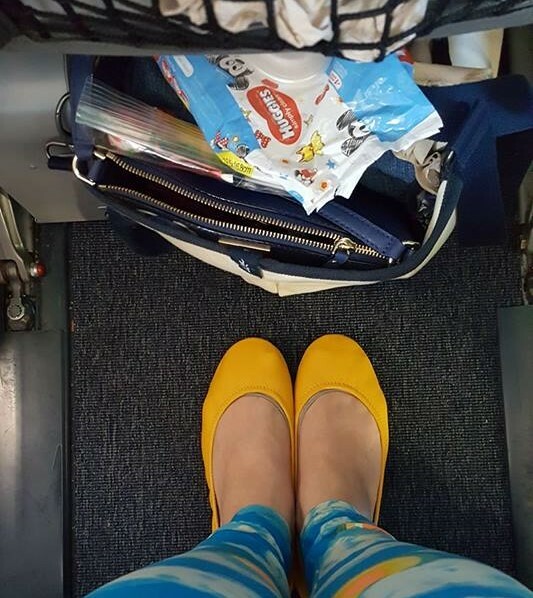 I loved my Mustard Tieks, but they were difficult to justify wearing them to a conference or dressy occasion. I loved the way my Lovestruck Tieks can be worn casually or dressed up. 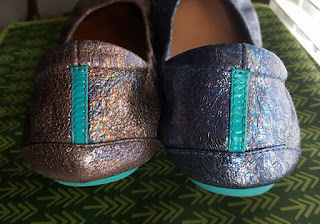 And wouldn't you know that in December, Tieks introduced a new limited edition shoe: Moonstruck. I used my Christmas bonus and bought them for myself. They are my new favorite shoe. They fit exactly like the Lovestruck and are so freaking pretty! And I'm for real done buying Tieks. The only way I'd get a new pair is if I sold a pair I currently have.